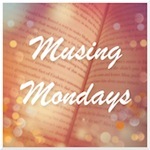 This week's Musing Monday at Should Be Reading: "Tell us what you're reading right now - what you think of it, so far; why you chose it; why you are (or, aren't) enjoying it." I'm currently reading Neil Gaiman's latest book, "The Ocean at the End of the Lane". I'm about halfway through and so far, I am loving it. It's eerie, dark and magical - signature Neil Gaiman all over. Why did I choose it? Neil Gaiman is one of the best fantasy writers out there, and definitely one of my favourites. It has been a few years since he's written a book for adults that wasn't a collection of short stories, so I had been looking forward to this book for some time. "The Ocean at the End of the Lane" is told from the point of view of an unnamed narrator. He has come back to his home town for a funeral, and the visit triggers his memories of strange occurrences from his childhood. It all started with their family lodger committing suicide, and inadvertently awakening an ancient, dark power. Now the evil force is threatening the narrator's life, and the safety of his family. With no one to help him, he turns to the three women who live at the end of their lane - the oldest of which believes that she remembers the Big Bang, and the youngest insists that it is not a duckpond that is in their backyard, but an ocean. What about you? What are you reading at the moment? I love Neil Gaiman too, The Ocean at the End of the Lane is on my TBR stack, glad you're enjoying it. PS. I like the pinterest hover button ... very cool. THis is on my TBR list. I am saving it for our Science Fiction Book Club in a few months. Hi Deanna! He's got a mixture of everything really. Do you know the movie Coraline? He wrote the book for that. My favourite book of his is Stardust, which was also turned into a movie. I haven't read anything by Neil Gaiman yet, but I've heard so many great things about him! Is there a book of his you'd recommend reading first? I have heard of Coraline! I tried to watch it with my son a few years back, but I think he was too young to get it. I will have to check it out and try again. Thanks! I also want a recommendation! Hi Katie and Alicia! Hmm depends which genre you prefer. My favourite of his is Stardust - which is more adventure and a tiny (but perfect) amount of romance. Neverwhere is also good - kind of like a dark Alice in Wonderland. I saw the movie Stardust and loved it! Also, I am a HUGE fan of Alice in Wonderland. Thanks for the recommendations! you're welcome :) I hope you love them just as much as I do!